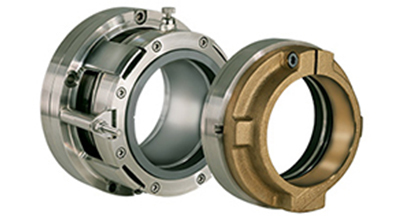 yachtWORKS is Fluiten Mechanic Seals Turkey distributor. yachWORKS is providing services to your boat with extensive experience in stainless steel manufacturing, electrical work, paint work, structural work fiberglass, wood, composite, steel, aluminum, carpentry, engine and mechanical devices. Electromechanical and hydraulic machinery. Installation and troubleshooting charging electronics, navigation electronics etc. with over forty employees. A 49-foot Jeanneau Sun Odyssey sailing yacht hit rocks with the front edge of her keel while sailing at a speed of 4 knots. The keel was damaged on the lower front section and underneath, and the boat began taking on a little water through the keel. If you are about to paint your boat to protect it from the elements, our experts are here to help with their extensive knowledge. A video library by industry experts and more. If you can’t find what you’re looking for please contact yachtWORKS for information and advice on all aspects of boat painting and boat maintenance. * The largest repair / winterising workshop in Turkey with 900 m² of Hangar. * 400 tons travellift, 60,000 m² mooring place. * Refiting by own 40+ employees. * Paint / varnish works. * Wood / Furniture / Teak deck works. * Engine and mechanical works. * Custom stainless steel manufacturing. * Electrical and power yacht hardware manufacturing and repairs. * Electronic navigation, satellite, management system installation and trouble shooting. * 7/24 Offshore service, valeting agency. * World wide huge stock capacity at two base in yachtMARKET. * Some pages still under construction, please try again later. Didim Branch: Dogus Didim Marina İsletmeciligi Tur. ve Tic. A.S.
Gocek Branch: Branch office is under renovation. Over forty staff yachtWORKS, at Turgutreis, Didim Branch Branch serves Gocek. Owned 900 M ² workshop with full service capacity, with extensive experience in stainless steel manufacturing, electrical work, paint work, structural work fiberglass, wood, composite, steel, aluminium, carpentry, engine and mechanical devices. Electromechanical and hydraulic machinery. Installation and troubleshooting charging electronics, navigation electronics etc. Own materials stores.